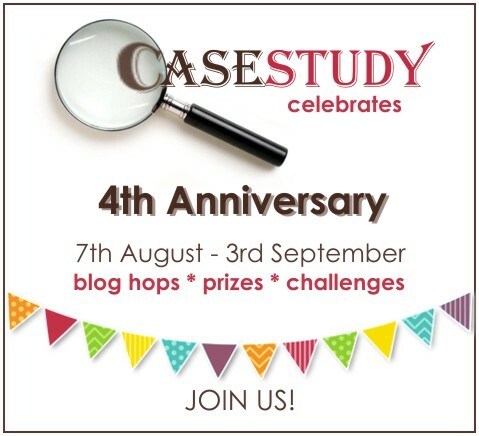 I'm thrilled to be joining in the CASE Study 4th Anniversary Blog Hop this week! CASE Study holds a special place in my heart and I couldn't be happier about helping Chupa celebrate. In true CASE Study fashion, I've picked my own personal muse...Debby Hughes, a former CASE Study DT member and one of my biggest inspirations! Everything Debbie creates inspires me, I had a blast CASEing her. I kept with the same color scheme with a pop of black and gold, the combo is just stunning. Time to hop along now! You have until midnight on Tuesday August 19th to leave comments on ALL blogs. Love love the CAS card. i am into this type of card lately. thank you so much for the inspiration. 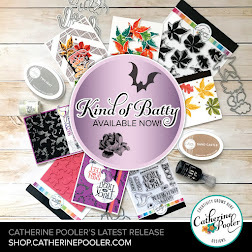 Beautiful CAS card.I love the label stamp and the beautiful stamping. Oh my.... such a beautiful card! Love every little detail! You're absolutely right, Debby is an ever-living source of inspiration, but I love your card - it is so elegant! Gorgeous card ,loved the light color n gold + velum combo ! Love your twist on Debby's card- gorgeous! You could not have picked a better muse. Everything Debby Hughes makes inspires me too. I love your take on her card, Maureen. OMG!!! I looove this gold sentiment and sequins, they are perfect with pink!! love Debbie!! 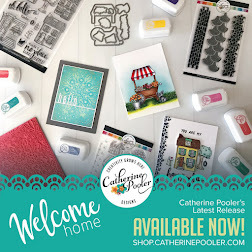 Love how used the background stamp! TFS. Beautiful card i love the vellum die cuts over the pink panel. Maureen, your take on Debby's card is stunning! 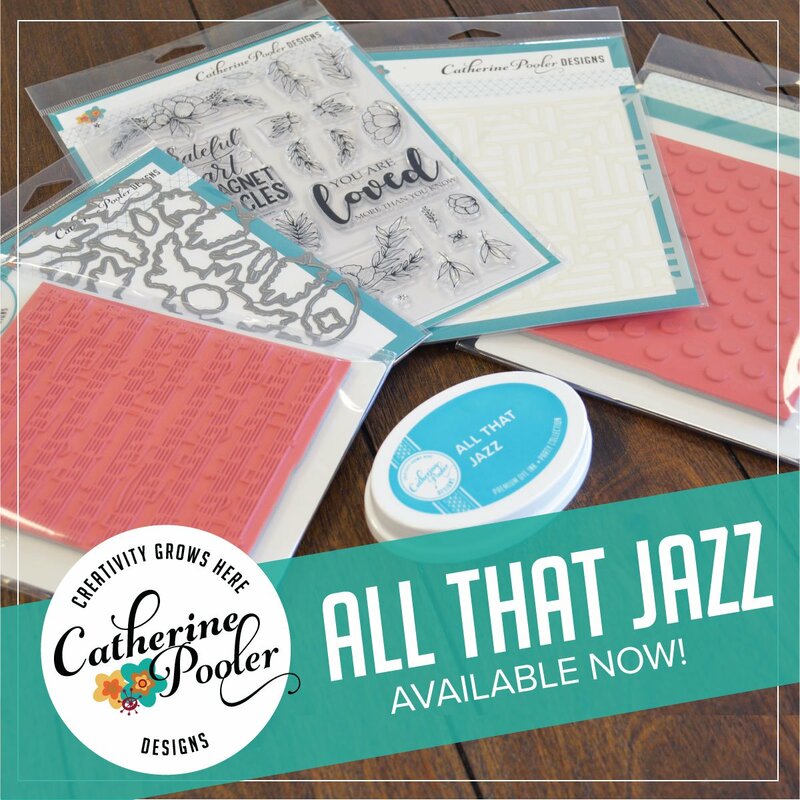 Love your use of gold script, pink floral background and vellum element! Thank you for inspiration! Yes Debbie is a wonderful inspiration and you are equally inspiring! I love your beautiful CAS design and miss you being at Case Study! Oh that pop of color and gold against the white layers are fabulous! Gorgeous card & inspiration Maureen! Beautiful! I like your card! Lovely, lovely case and inspiration! The gold and vellum are amazing against the pink and black! Debbie Hughes is amazing. And so is your card! I love it! 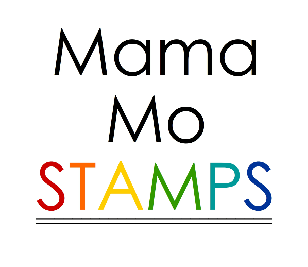 Beautiful card, Mo! Love your take on Debbie's card! sweet...love your take on this card...those vellum leaves at a nice finishing touch!! Simple and Stunning! Great take! I love the color combo so much! I love the used of vellum and gold glittered Hello! CAS perfection with a beautiful color scheme. Your card is gorgeous and love your interpretation of the CASE card. Pretty card, and a lovely take on Debby's card! Debby is a great designer; but you are, too!! 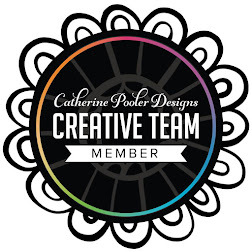 I love this pretty card; the circle and the colors are so attractive. 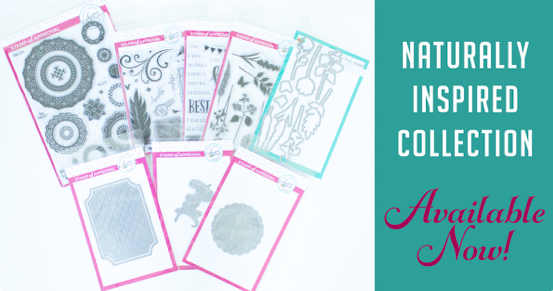 your cards are so beautiful, they would be perfect for wedding cards! Beautiful card. I love your inspiration too! Love Debbie's card and your take on it! The vellum adds such a soft touch to it! Awesome! I love the pink leafy background circle. Perfect! I love that pop of black and gold! I like that your card is soft and bold at the same time! Beautiful. I like the card because it is not too busy! Very pretty! Pretty card. love the vellum leaves and the gold lettering. I adore your interpretation especially the circle in the center. beautiful card Maureen - will have to pin it!!! Hi Maureen! I love how you interpreted Deb's card. Both, so lovely! This looks really elegant! Feminine and soft, but still very CAS! awesome colors. The image in a circle is my favorite! Wow! Your right, Debby is genius, but I think I like your card better than your inspiration! Lovely card. So soft and delicate with enough bling to be fun! Beautiful card love the colors. Think you got Debby down pat. Gorgeous card. Own and love that die, as well. Love the gold "hello" above the circle shape, really nice! I love the pink and gold, very girly. The sequins are darling too! Both the cards are unique in their own way! 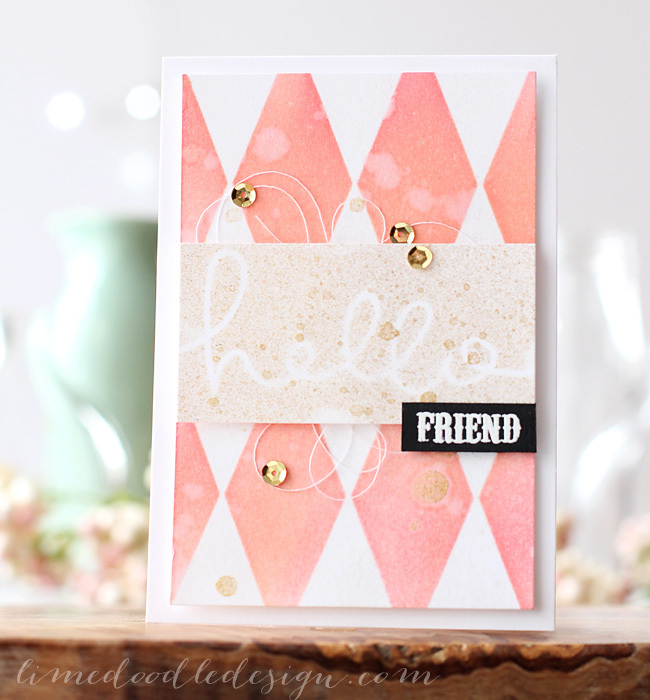 Absolutely love the sparkly hello sentiment and the pretty background! beautiful card!! love the glittery hello and the background circle... awesome!! Very pretty Maureen. Love the circle and those vellum leaves. Lovely take on the inspiration card. Wow. Beautiful card. This color combo is stunning! Such a pretty card, anyone would be delighted to receive this! so pretty...love the pink background and the gold die cut and sequins. Great Case choice! You beautifully captured the best parts of it! The vellum is so delicate. Gorgeous, would never have thought to use the stamp like that. Awesome!! Wonderful, card. love the circle. I like the uncluttered look of your card and your color choices. The little hits of gold make it festive. A simple but lovely card! What a gorgeous card! I love the colors set against the white and all of the beautiful elements! I love your take on the original card. Really nice! I love your card. It is very pretty. An amazing individual you've chosen to draw inspiration from and an absolutely stunning card, as well. Your interpretation is absolutely gorgeous, infused with your style! You've done her proud, and the best part is that you had a blast doing so! Love this! So clean and simple, and so so lovely! Love your take on Debbie's card! 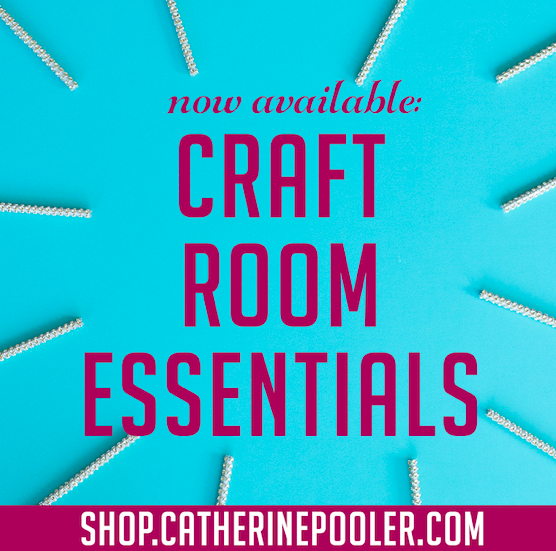 More inspiration for my next craft session! I love your colour combo very much! Awesome simple and clean card! Delightful card! 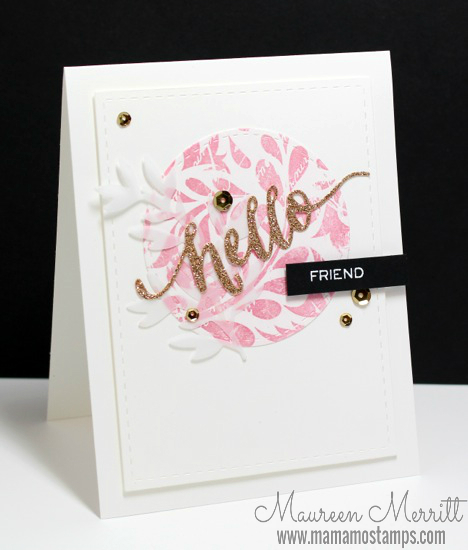 Love the stamped design and the pretty color you used... looks great with that touch of gold! I really like the soft tones in your card and the vellum leaves just finishes that off perfectly! Very pretty, love the colors. Debby is my Muse too, love your card! Love the colors! The gold just adds to the card! Soft and lovely! the black sentiment is really appealing! 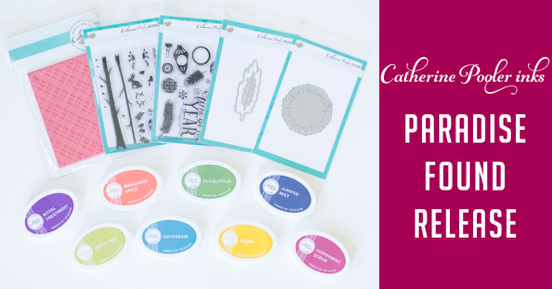 Love your cards and colors! I really love your card. Nice and simple and a little bling. How can you go wrong? Such a pretty card,Maureen!! I love the veluum and the glittery hello! I love all the gold accents!!! Debbie is amazing isn't she? Your card is beautiful. A great CASE! Gorgeous card, Maureen, and so is Debby's card. I may very well end up CASEing your card for this week's challenge. Thanks for the inspiration! This is stunning, Maureen! Love the gold, vellum and pink combo. So case- worthy! I love how sparkly the Hello is! Lovely. Well now, how cute is that. Love the colors and texture. Gold, gold! I think I spot a new trend! Wonderful, love how you interpreted it and your inspiration, great colors. TFs. Very pretty! I like the rose color! Love the soft color you chose. The card is so pretty. Pretty card! A nice color combination and nice elements. Hello Friend - your cards are charming. Love the color combination of pinks and gold. Hi Maureen, I love your card, especially the delicate touches of vellum. They add a certain magic to the creation. Beautiful card! Love the layout & the pop of gold. Such a pretty card! Great CASE! The glitter hello word just pops off the card. Love it! Great design and I like the glittery hello. I love love love your gold sentiment! Beautiful card! Love the Pink! GORGEOUS!!! I am seeing alot of your card cases!! Which is awesome!!! Stunning CAS card! Always love your designs. 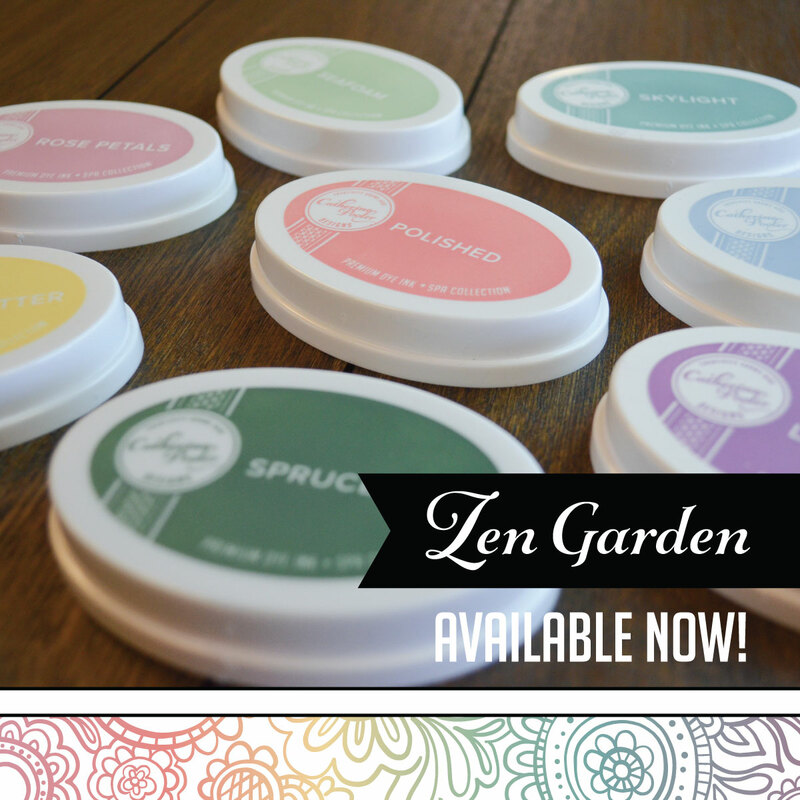 Love your soft color palate. The gold accents just make it. I've gotta case this beauty! Absolutely in love with the colour combo. Divine. Your take on Debby's stunner is stunning too! Simply beautiful - great job! So gorgeous! Love the gold accents! Your cards have such a soft and pretty look to them. Great job! Love your take on Debbie's card. Your eye for detail and dimension is outstanding and really makes this card something special. Hugs. love the beautiful colors and the awesome way you case-d the inspiration !! Beautiful inspiration on Debbie's card and love the colour choice with glittered hello!! superb creation , nice take on inspiration ,love your card. Everything Debbie does inspires me, too! Your card is so pretty! I love how you can pick out the pieces of her card that you translated in your own way. Lovely, lovely! Maureen, your card is stunning and gorgeous! Love the colors :) Thank You! Just wanted to let you know I did end up CASEing your card and have now posted it on my blog. I was too late to link it up for CASE Study but I did manage to link it up in the nick of time for CTS88. OMG! I LOVE this! Will so be using it for inspiration ... thank you for sharing!